Emirates, the world’s largest international airline, and Arsenal Football Club have announced a new sponsorship deal. The sponsorship, the largest ever signed by the club and one of the biggest ever agreed in football, grants the airline a 5-year extension to their shirt partnership with the Club until the end of the 2023-2024 season. The new sponsorship agreement strengthens one of the mo recognisable and respected partnerships in sport. The agreement was formally finalised today by Arsenal Chief Executive Ivan Gazidis and Emirates President, Sir Tim Clark. Mr Gazidis said: “Our shirt partnership is the longest running in the Premier League and one of the longest relationships in world sport. This mutual commitment is testimony to the strength and depth of our unique relationship. 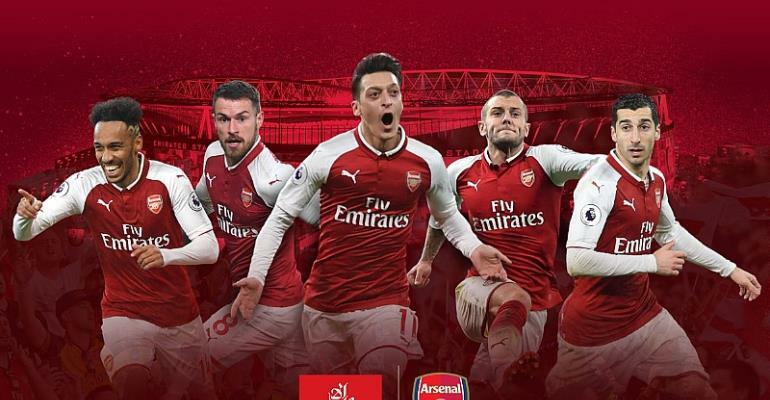 Emirates are again demonstrating their great belief in our approach and ambition and their significantly increased investment will help us continue to compete for trophies and bring more success to the club and our fans around the world."